It is official. Even the scientists confirm my suspicions. It has been a very windy spring and while we are used to that here in windy Wellington, many of the gales have been much stronger than the usual blustery conditions we live with. 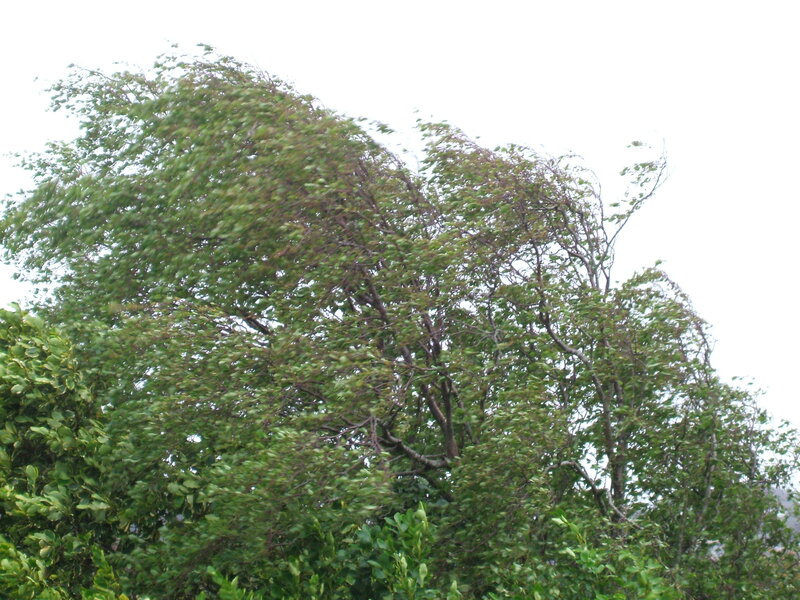 Almost without fail there have been wind warnings forecasting gusts of up to 140kms per hour. Fortunately my particularly patch on earth has a degree of shelter from these northwesterlies. But we have sustained damage, most recently to an old television aerial. You can see the trees in the tall tree part of our garden taking a buffeting. The fresh leaves of the birch trees are already looking bedraggled and bent in response to the prevailing bluster. 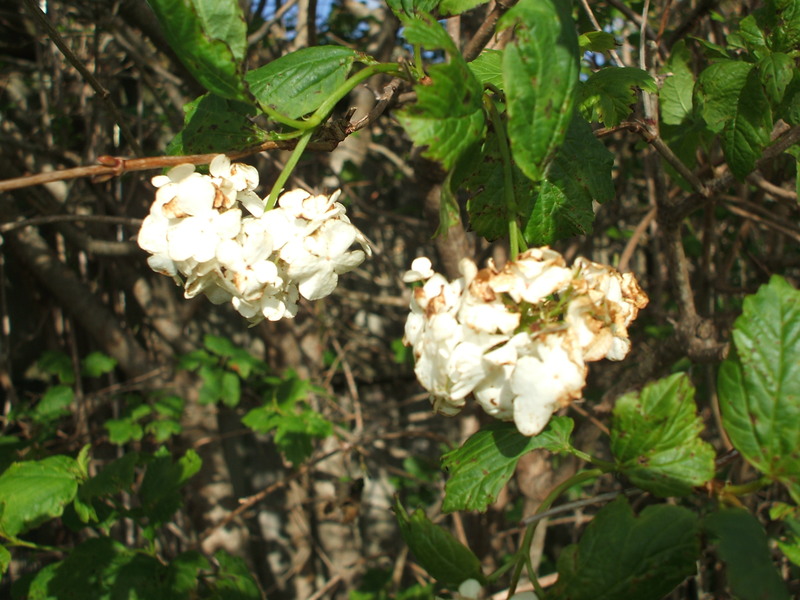 The Viburnum “pom poms” are burnt and brown. Those are the ones that have survived on the trees. So many have been stripped. In past springs they looked like this. The rock roses have proved to be hardy and flourishing bushes but the relentless wind sees the crepey flowers brown and shrivel. And then there are the birds who must be exhausted battling through the endless gusts and the strength of the wind. 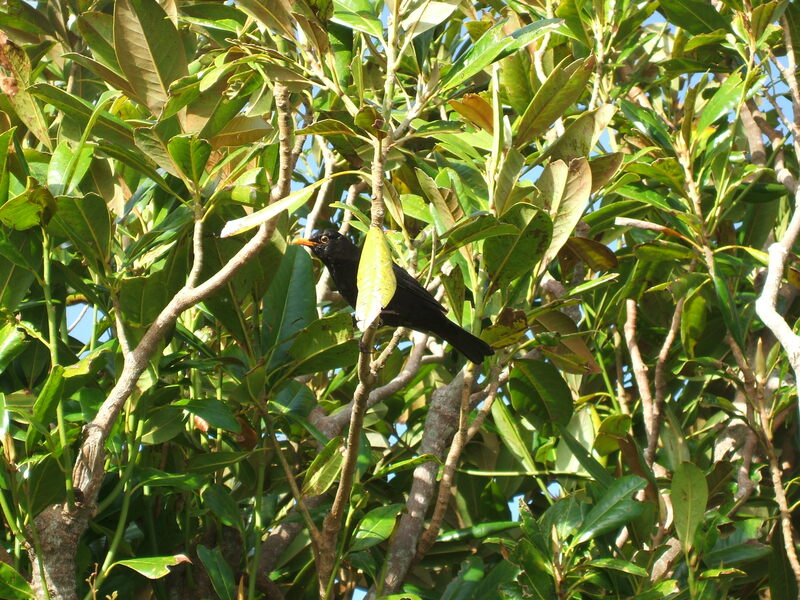 Look at these two blackbird fledglings sheltering in a sunny and calm part of the garden this afternoon, resting while the parents are off foraging. 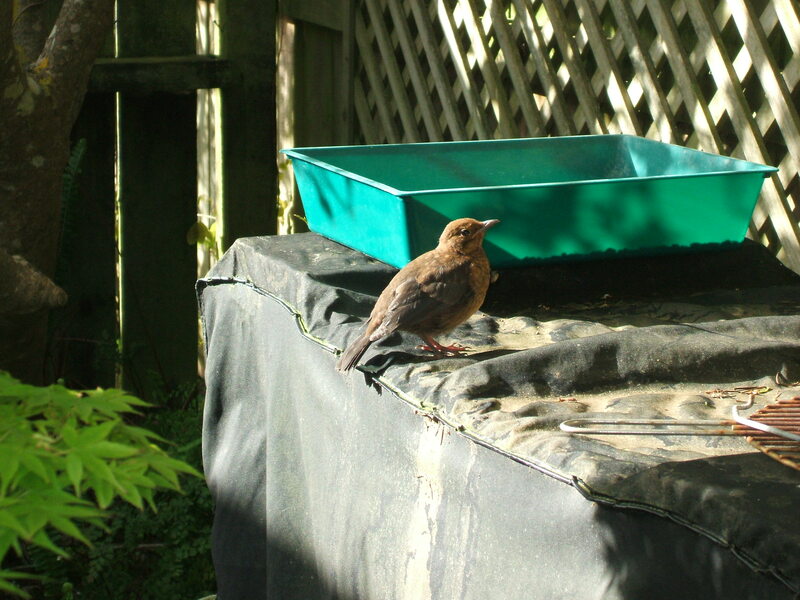 Blackbird fledgling resting to the right of the green tray. As I went outdoors the parent bird flew near me and waited hopefully in the Magnolia tree. I had nothing to offer him this time but I have been tossing scraps and crumbs out in greater quantities to help the birds survive. Other parts of the country have been hard hit again today and we are hoping that the winds will abate tomorrow as predicted. This entry was posted in Uncategorized and tagged Birch trees, birds, blackbird fledglings, blackbirds, gales, gusts, rock rose, spring, storms, Viburnums, weather, winds on October 26, 2013 by ordinarygood. Suddenly it is November which means a birthday in the family and a short run down to the family wedding on Christmas Eve day, Christmas and the promise of a new grandchild early in the New Year. There is a bit to get sorted and organized between now and then so please bear with me as I blog a little less. While my focus is on preparations here is a photo or two of just how busy nature is being out in my garden during this abundant spring we are experiencing. 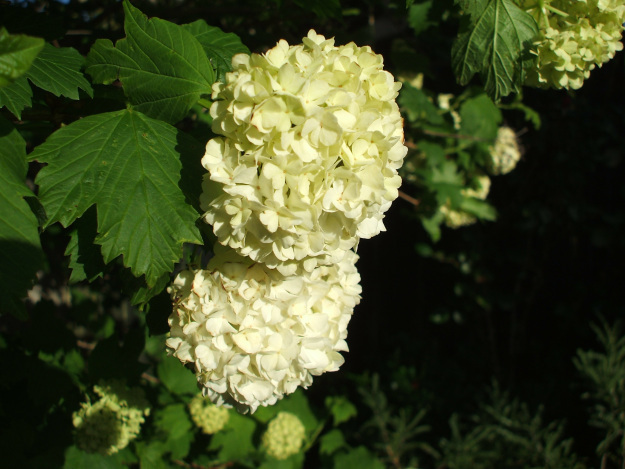 These are our Snowball trees in a mass of creamy white flowers. This entry was posted in Uncategorized and tagged birthday, Christmas, garden, grandchild, nature, photography, Snowball trees, spring, Viburnums, wedding on November 2, 2011 by ordinarygood.